Zetland is pleased to welcome back Marcin Galas as managing director of Zetland Corporate Services Limited and Group General Manager. Marcin will be based in Hong Kong. Marcin has previously worked for Zetland in Belize and Hong Kong before a spell in Singapore with trust company ATC. 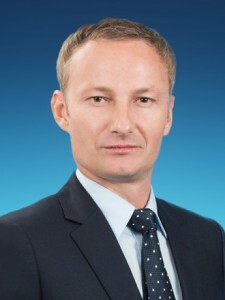 Marcin is of Polish origin although he was brought up and educated in South Africa holding bachelor’s and law degrees from the University of Witwatersrand. Marcin is also a full member of STEP – the Society of Trust and Estate Practitioners. In other news from Hong Kong – the local fiduciary services industry is about to be regulated under an amendment to the Anti-Money Laundering Ordinance which is currently working its way through Hong Kong’s legislature. The new rules are expected to be effective by the end of 2017. Zetland Corporate Services, Zetland Trust and possibly other companies in the group will require to be licensed and to meet the record keeping and due diligence requirements as laid down in the law. Zetland welcomes the move which will mean that all of our key fiduciary operations in Belize, Singapore and Hong Kong will now be conducted on a regulated basis. 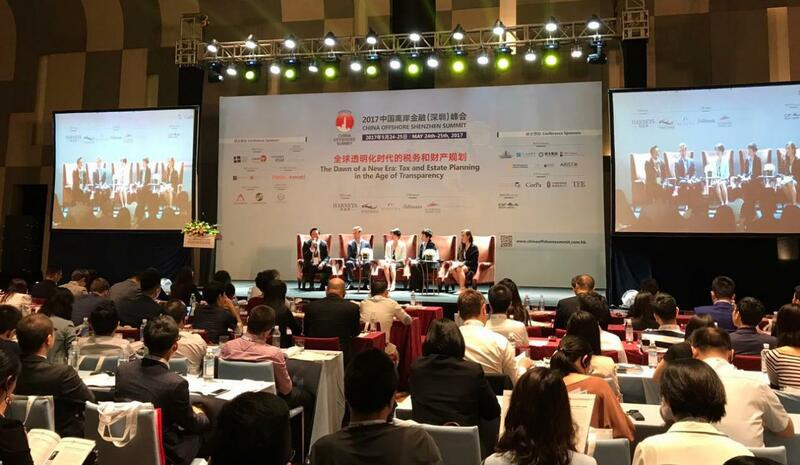 China Offshore Summit 2017 has been one of the Asia’s largest financial and wealth management summit since the inception of the China Offshore Summit series in 2010. It is held twice a year in Shenzhen and Shanghai respectively, attracts many professional individuals and experts from financial institutions, financial service providers, governments and investment institutions all over world. As one of the Bronze Sponsors of the summit, Zetland Fiduciary Group Limited was invited to attend this conference, we shared our experience on offshore financial industry and discussed with the elites and professional on the related issues. Phoebe Luo, General Manager, China Zetland Fiduciary Group Limited, was invited as one of the panelists for the panel discussion naming on “Cross-jurisdictional Asset Allocation in the Context of Today’s Complexities” and the key points would be around “What are the unique perspectives and updated demands of Asian HNW clients in terms of wealth preservation?”, ”What are some available strategies for integrating asset protection with legal tax mitigation, along with managing broader expectations or unexpected risks and opportunities in the current international context?” and “What challenges and obstacles are there when it comes to employing cross-border wealth transition” etc. The attention of HNWIs and UHNWIs has been driven more towards global asset planning. Due to Phoebe’s more than 7 years experience in offshore trust, private foundation, she shared her own professional perspectives on wealth planning and asset protect for Chinese clients. Established in 1987 and headquartered in Hong Kong with offices around the world, Zetland Fiduciary Group is an independent global firm offering personal service and professional advice with total confidentiality. With more than 20 years experience in providing fiduciary services, Zetland is well qualified to provide a range of specialist solutions. We offer different types of trust structures including fully managed discretionary trusts, VISTA trusts, share trusts, purpose trusts and other tailor made trust and foundation structures. With this premium platform of China Offshore Summit series 2017, Zetland Fiduciary Group provides our solutions in the fields of offshore trust, private foundations and on so, we would closely cooperate with more professional institutions in his booming market. For more information and any assistance, please contact Phoebe Luo from Zetland Shanghai office at shanghai@zetland.biz or +86 21 6427 2930. – To become an leader of FinTech as a new business etc…. Provide consulting services for market research, business plan formation, and for preparation for license registration etc. Support matching foreign FinTech enterprises with excellent advanced technologies with Japanese financial institutions. Activate promotion in diversified ways through the joint initiatives between the public and private sectors. Review inheritance taxes related to high-degree foreign earners residing in Japan. Tokyo Metropolitan Government and Financial Services Agency tie-up and provide one-stop support center for foreign enterprises who want to setup business in Japan. Such foreign enterprises can apply for subsidy to cover fees to pay support consultation fee. Prepare English texts for Japanese finance-related laws, ordinances, regulations and manuals describing filing proceedings for registration as a financial instrument business operator. Promote to accept foreign domestic helpers. Ease the requirements for acquisition of resident eligibility, requirements for hiring domestic helpers and bringing their parents from their home countries. Improve the medical services for foreign residents by hiring more foreign doctors. This article was contributed by Trade Tax International Tax & Accounting in Tokyo, Japan. Zetland works with professional firms around the world. If any inquries regarding setting up your business in Japan please contact TradeTax International Tax & Account (info@japan-jil.com) or contract Zetland (intray@zetland.biz). Over the last 25 years, Labuan IBFC has developed and strengthened its position as a leading business and financial centre in Asia Pacific, striking the ideal balance between client confidentiality and compliance with international best standards and practices. Labuan Financial Services Authority (“Labuan FSA”), the regulator of Labuan IBFC, has enforcing a modern and internationally-recognised legal framework with simple and attractive tax system to this jurisdiction. 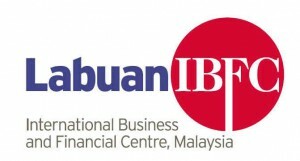 Its business-friendly environment allows Labuan IBFC offers a plethora of wealth creation and preservation structures in conventional and Islamic forms. These comprehensive private wealth management vehicles range from common law trusts to civil law foundations. 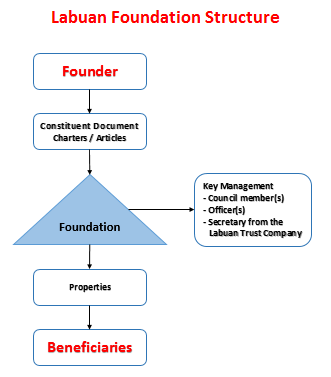 A Labuan Foundation is governed by the Labuan Foundations Act 2010. The foundation structure is a corporate body with a separate legal entity, established to manage its own property for any lawful purpose, be it for charitable or non-charitable purposes. It provides a strong statutory firewall that protects the foundation with clarity in its functioning. As a separate legal entity itself, the foundation is distinct from its founder, officers, and council. The features of the foundation provides a channel for wealth planning and inheritance management protected within a tax-efficient legal entity. There is no minimum initial asset required for its establishment and the foundation can exist for a fixed or perpetual duration. A charitable trust may be created for a wide variety of philanthropic purposes including relief and eradication of poverty, advancement of education, promotion of art, science and religion, advancement of human rights and fundamental freedom. A purpose trust has no beneficiaries, instead it exists for the advancement of a charitable or non-charitable purpose of some kind. It may also be set up for a specific purpose or objective or a person. The Labuan Special trust is ideal for succession planning. It enables a trust of company shares to be established under which the shares can be retained indefinitely and the management of the company may be carried out by its directors without any powers of intervention by the trustee. This form of trust is ideal for succession or dynastic planning as well as for matrimonial settlements. A Labuan Private Trust Company, is also a separate legal entity and is established via the Labuan Financial Services and Securities Act 2010 (LFSSA) and registered with the Labuan FSA. The trust company is permitted to provide all trust company services accorded to LFSSA. High net worth individuals would find Labuan IBFC a well-regulated yet business-friendly location for a wide range of private wealth management vehicles. In addition, the availability of Private Trust Companies will appeal to individuals and families who wish to retain control of the management of assets and businesses, including the flexibility to be involved in the day-to-day administration of those assets. Malaysian and non-Malaysian residents who own international as well as Malaysian properties may inject them into the trust or a foundation; however where Malaysian properties are involved, prior approval from Labuan FSA is required. In summary, both Labuan Foundation and Labuan Trust allow the founder/settlor to retain sufficient control over the affairs of the entities without compromising the validity of the foundation. They are given flexibility on the formation of the board of directors or council, comprising of family members or trusted advisors of the family. This allows both wealth management structures to be privy to the requisite knowledge of the family affairs, as well as better understand the needs of the intended beneficiaries. 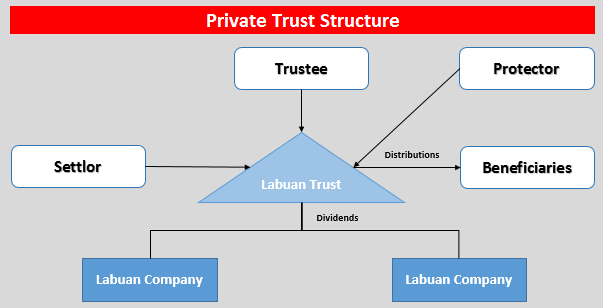 A family office can also be established via the Labuan Private Trust Company or Labuan foundation, attributing to the uniqueness of Labuan IBFC being a jurisdiction that can offer a flexible yet well-regulated and cost-efficient environment. This article is contributed by Mr Chan Jau Yuan, Manager of Group Client Coverage of Pacific Trustees Group International. An International Business Company (IBC) is a proven corporate vehicle suitable for a wide range of international trading, investment and commercial activities. It is also the most popular type of offshore corporation commonly formed for asset protection, offshore banking and operation of businesses. 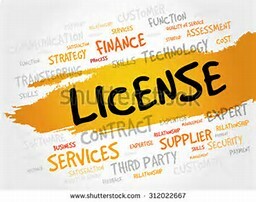 According to Belize Legislation different activities can be carried out by an IBC registered in Belize once the company has procured a Special License. Although an IBC registered in Belize could apply for a special license, it is crucial that the directors, officers and shareholders of the company have proper expertise and knowledge in the business activity the entity is planning to carry out. A detailed biographical affidavit about each person’s involvement in the company in regards to their previous professional work experiences, education and qualifications as well as business plan and financial projections will need to be submitted for review and approval by the Commission. The process is simple for setting up a company with Special license. As a licensed Registered Agent, Zetland can assist with the preparation of the corporate documents with special memorandum and articles and bank account opening required for the paid up capital to be deposited and maintained in Belize. Upon completion of the incorporation of your company, we will further guide you through the entire application process for submission to the IFSC. We also do offer other professional services such as corporate nominee director/shareholder services as well as Individual Director/Shareholder. If interested in any of the above-mentioned licensed activities or any other financial services, we are more than delighted to be of service. Hong Kong adopts territorial source concept for taxation and only profits sourced from Hong Kong are taxable under Profits Tax. As the Inland Revenue Ordinance (“IRO”) has no specific provisions on taxation of Electronic Commerce (“E-Commence”) in Hong Kong, the Hong Kong Inland Revenue Department (“IRD”) has issued Departmental Interpretation and Practice Notes No. 39 (“DIPN 39”), a form of document issued by the IRD for information and guidance on certain tax practice and has no legal binding force, for Profits Tax on Treatment of E-Commence back in July 2001. The profits must be “profits arising in or derived from Hong Kong”. The mere presence of a server in Hong Kong, even if it is capable of concluding contracts, processing payments or delivering digital goods without involvement of human activities in Hong Kong, would not generally be regarded as “carrying on business in Hong Kong” by the arrangement. A company which has all of its business operations in Hong Kong apart from operating a server (intelligent or otherwise) which is at its disposal and located outside Hong Kong for E-Commerce purposes will be liable to Profits Tax. A company which has all of its business operations outside Hong Kong apart from operating merely a server (intelligent or otherwise) which is at its disposal and located in Hong Kong will not be liable to Profits Tax. 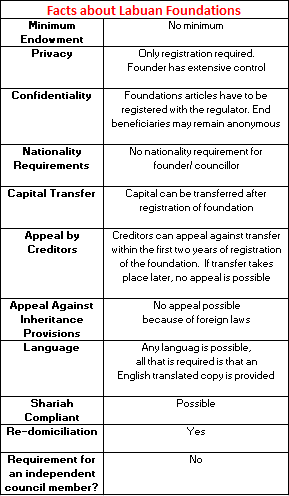 Apart from the above, the IRD also follows Section 15(1) of the IRO in dealing with receipts for the use of or right to use in Hong Kong a patent, design, trademark, copyright material or secret process or formula or other property of a similar nature as deemed receipts chargeable to Profits Tax. Should you require further details or assistance on the above, please contact Sylvester Chu at tax@zetland.biz.